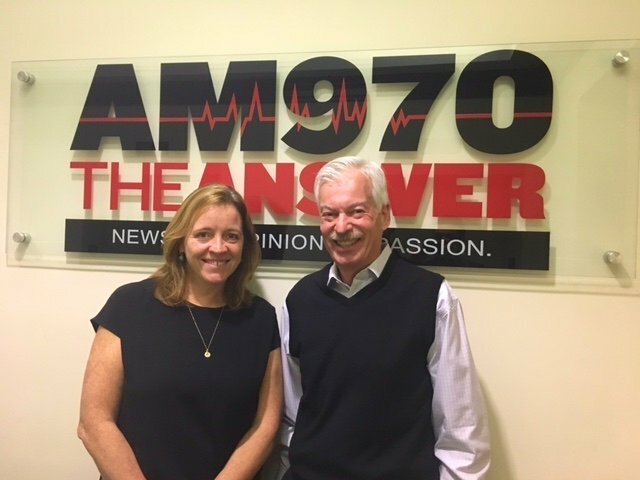 The following is a conversation between Katie Hood, Chief Executive Officer of the One Love Foundation, and Denver Frederick, Host of The Business of Giving on AM 970 The Answer. Denver: Earlier this month– May 3 to be exact– marks seven years since Yeardley Love, a lacrosse player at the University of Virginia was found beaten to death in her room, just three weeks shy of her graduation. Her tragic death shined a spotlight on relationship violence like we have never seen before. And through the tireless work of her mother, sister, and many others, the One Love Foundation came into being. And here to discuss the work of the foundation with us tonight is their Chief Executive Officer, Katie Hood. Good evening, Katie, and welcome to The Business of Giving! Katie: Hi! Thanks for having me. Denver: You know, I just touched on it in the opening, but tell our listeners about Yeardley Love and the tragic circumstances around her death. Katie: Yeardley was a young woman who grew up in Baltimore, Maryland and attended the University of Virginia for college. I did not know her personally. Her cousin happens to be one of my best friends, so I feel like I knew her. She was a totally can-do spirit, dedicated to her family and friends, really determined to play lacrosse in college. And even more than that, her mom says she was, “completely dedicated to UVA.” She accomplished her goals, was admitted to UVA, was a member of the women’s lacrosse team there and loved UVA. Had great friends; one of the strongest girls, nicest girls, kindest girls you’ll ever meet. But unfortunately, no one really knew how unhealthy and dangerous her relationship with a fellow student, a guy on the men’s lacrosse team, had become. And so her death on May 3 came as a total surprise to so many people who really just hadn’t understood the signs that she was in an unhealthy relationship. They therefore didn’t know how to help. So what we exist to do today is: we believe that Yeardley’s death was 100% avoidable, if anyone in her life– including her– had understood the signs of an unhealthy and dangerous relationship. So One Love exists today to make sure that others have the information that Yeardley didn’t. Denver: Did the foundation come into being shortly after her death? Or, did it take a while for her mother and sister and others to put it together? Katie: Well, at the time when she died, I was actually at the Michael J. Fox Foundation, and I was one of the only people the family really knew in philanthropy. They were in our offices at the Michael J. Fox Foundation within six weeks to talk about how they could honor Yeardley’s life through a nonprofit. It took them a few years, however, to really get focused on relationship violence. Quite honestly, it took them until 2012– when her killer went to trial–to really realize that this strong, positive, happy person they knew had actually been in an abusive relationship. She defied their expectations of who this happens to. I think we all have stereotypes in our head about who ends up in these relationships; these stereotypes are wrong. And it took them time to really realize how wrong they were. And so starting in 2012, they really shifted their focus to prevention. The idea was: unless we do something radical to change young people’s understanding of this issue, we’re never going to change the pipeline that leads to one in three women and one in four men being in abusive relationships in their life. So emotional abuse is when somebody is controlling you. When every step you take, you are anticipating how the other person is going to respond, and you’re trying to avoid a negative response. The sad truth is: it’s incredibly common. And the really sad truth is that nobody really thinks of it as abuse. Denver: Katie, is there an actual definition of what relationship violence is? Katie: Yes. So we started using the phrase “relationship violence” instead of domestic violence because we’re really focused on working with young people. Young people hear domestic violence, and they think of people who are married, who are older, who likely have kids. Young people don’t realize it can happen to them. And yet, young women, ages 16 to 24, are at three times greater risk of being in an abusive relationship than any other demographic. So we had an information gap here, and it was an information gap that we wanted to address. Relationship violence, relationship abuse can consist of three buckets of things. Everybody is familiar with physical violence, and everybody knows that physical violence is wrong. But what we always say is, “You don’t get punched on your first date.” The first date is probably the best date you’ve ever been on in your life. And one of the messages we try to get to young people is that every abusive relationships starts out as the best relationship you’ve ever been in. So physical abuse, we’re clear on. Sexual abuse, we’re clear on. This is a little different from sexual assault, which may happen outside of a dating relationship, but it can also happen inside a relationship… inside a dating relationship. But the least well-known part of relationship violence, relationship abuse, is emotional. This is the stuff that we call “drama.” It’s the stuff that’s normalized in our society today. It’s controlling behavior. It’s isolating behavior. It’s name-calling. So, emotional abuse is when somebody is controlling you. When every step you take, you are anticipating how the other person’s going to respond, and you’re trying to avoid a negative response. The sad truth is: it’s incredibly common. And the really sad truth is that nobody really thinks of it as abuse. So, a lot of our work actually focuses on this gray zone – this gray zone of the emotional behaviors that are never okay. Denver: And I would have to think, Katie, that a lot of young people are in one of their very first relationships, so they’re not really sure whether this is normal or not normal because they don’t really have anything to gauge it against. Katie: That’s right. For many people, they are in their first relationships. What we’ve really discovered– as we’ve done more and more of this work over the last two and a half years– is that there’s actually nobody who is systematically teaching our young people about healthy and unhealthy relationship behaviors. So before you get to abuse, there is just normal relationships, and sometimes people do healthy things, and sometimes people do unhealthy things. But nowhere is there education about what healthy and unhealthy relationship behaviors are and how to navigate them. And we think this is a real missing link for our kids. And if we can teach them early to identify the signs that are unhealthy and not okay, and then give them the language and the tools to navigate them, then we’re going to increase their ability to get through life safely. Denver: Absolutely! Let me pick up on what you just mentioned a moment ago about the prevalence of relationship violence. One in three women is what you said. I was a little struck by one in four men. I think that probably is a little bit higher than most people think. Talk to that a bit more. Is the nature of that violence different than what a woman would experience? Katie: Yes. I believe one of the challenges is that domestic violence or relationship violence is sometimes misunderstood as a women’s issue – it’s actually a public health issue. I think because we have minimized awareness building around emotional abuse, we don’t actually think about men as experiencing domestic violence or relationship violence. The truth is most men will not be physically abused by their partners. That’s something that much more frequently happens to women, and that’s what we understand abuse to be. But emotional abuse, emotional violence? That actually breaks both ways a little bit more. And so what we really focus on doing is messaging that men can be victims in this, too, and men can also be huge advocates and allies. Denver: Speak a bit more about what some of those signs are of an unhealthy relationship. I know in your website you’ve listed 10 of them. Talk about them. Katie: So, when we talk to young people about unhealthy relationship behaviors, emotional abuse: it’s obsessive and incessant texting, demanding to know where you are all the time, stating rules about who you can hang out with and who you can’t hang out with, criticizing what you wear, being really great to you one-on-one, and then in a group: taking you down or making fun of you. It’s all of these elements of just not nice behavior. It sounds overly simplistic to say that but, unfortunately, in our society, a lot of these things are normalized through reality TV shows or whatever it may be. And certainly, when you think about teens in their earliest dating relationships– as you were pointing out– if they don’t have guidelines, if it’s all gray to them, and they don’t see certain things as black or white, then they’re going to be seeing these behaviors all around them, too. And that makes it very difficult for them to confidently state that they’re wrong. …the reason we’ll never just put it on TV is not just because it could be triggering, it’s because of the power of the conversation that happens afterwards with peers actually sitting in a circle with a peer facilitator… or an administrative facilitator… there guiding them through scenes of the film, saying: “What happened? What did you think? What could’ve been done?” And then, giving key takeaways is incredible. Denver: So, it’s controlling, it’s isolation—all those things. Well, if there is a centerpiece to your program, it would be something called Escalation Workshops, which you orchestrate at schools and campuses across the country. Tell us about those workshops. Katie: The Escalation film was finished in 2014. At the time, I was an advisor to the foundation. I saw the film, and literally, every hair on my arm stood up, and I said, “Every kid in America needs to see this film.” The film is a 40-minute film that focuses on a fictional couple named Paige and Chase. They’re in college, and you get to know them at the very beginning of their relationship. It’s very exciting and new. They’re getting a lot of reinforcement from their friends. But then the relationship problems begin. The film is called “Escalation” because the truth is these problems escalate throughout the film. So what starts as just the male character showing up unexpectedly after class, or asking her not to go to class to spend time with him, putting her in a bad place where she can’t make the right decisions for her, it ends tragically with Paige being killed. And so the film is based on research about how violent relationships progress – a huge educational opportunity is that all of these relationships– no matter what you look like, no matter your sexual orientation, no matter how much money you have in your bank account, no matter the color of your skin– they progress the same way. So because the film is built on research about the progression, and because we’re really showing kids a picture of their lives, this is what we hear over and over: “These could be my friends.” “This is totally relatable.” “I’ve seen some of these things before.” It’s having a profound impact on the audience because when they watch the film, they engage with it almost as if it’s their peers in the film. And that is powerful. So when we realize we have this amazing film, this amazing product, we then thought about: How do we want to roll this out on campus? Some people have said, “Why don’t you just put the film on TV?” And the truth is, now, after 125,000 kids have been through the workshop, the reason we’ll never just put it on TV is not just because it could be triggering; it’s because of the power of the conversation that happens afterwards with peers actually sitting in a circle with a peer facilitator…or an administrative facilitator… there guiding them through scenes of the film, saying: “What happened? What did you think? What could’ve been done?” And then giving key takeaways is incredible. And part of our real theory of change here is that if we can affect individuals, we can help individuals make better decisions in their lives. But if we can affect whole communities, then we can change community standards, and that’s really what’s needed. Denver: It’s the workshop, isn’t it? Katie: So the workshop has become, in a weird way… it’s content that kids want to consume. And the most important thing is: it’s content they want their friends to consume, too. And part of our real theory of change here is that if we can affect individuals, we can help individuals make better decisions in their lives. But if we can affect whole communities, then we can change community standards, and that’s really what’s needed. …what Escalation does in 90 minutes is: it rockets people to a recognition that this issue is personal. And in a percentage of the people, it really wakes up a desire to get involved to do, and to recruit their friends. Denver: And I think one of the most powerful parts of the film is that although it is a fictional tale based on research, as you said, it ends with real people who have been the victims of relationship violence. So, I always talk about how a lot of nonprofits get stuck at awareness building. But what Escalation does in 90 minutes is: it rockets people to a recognition that this issue is personal. And in a percentage of the people, it really wakes up a desire to get involved to do, and to recruit their friends. Denver: Well, I know you, Katie, and Yeardley’s mother Sharon, have big and bold ambitions. I think you mentioned a moment ago 125,000 people so far– young people– have seen this film. What are your plans for rolling it out to reach more people? 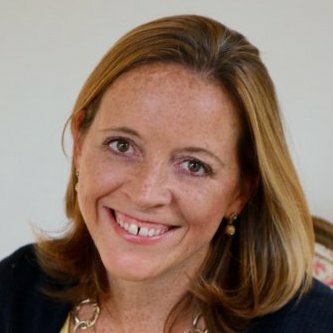 Katie: Well, in the fall of 2014, it was literally me and Melanie Sperling, who works with me, cold-calling schools – “You might remember the story of Yeardley Love. We have this incredible new workshop.” Well, now, that shifted. So now, we’re getting 70 to 80 incoming calls a week from people who want to bring this to their school. We’re not just focused on schools anymore. We’re focused on communities. We believe strongly that this content is relevant to a wide group of young people, and we’re never going to build the distribution ourselves. We have to partner with anyone and everyone who wants to make sure that the kids they love have access to this discussion. Katie: And so partnering is a huge part of our approach, whether that’s with domestic violence groups who are actually doing educational work in communities, whether it’s with schools, whether it’s with boys or girls clubs, whether it’s with the military, whoever it is, we want to make sure you can have access to our stuff . We have figured out ways to train people– virtually at no cost– so that people can be empowered, no matter whether you’re in midtown Manhattan or North Dakota, if you want this in your community, you can sign up, get trained, and bring it to your community. And so we’re really relying on volunteer leverage. Honest to God, I think what we’re doing is waking up in people a desire to help their communities, help themselves and their friends. And what we’re trying to do is empower them to be the leaders in their community in getting this done. So, we are super proud that it took us two years to get to the 100,000 mark in terms of the number of young people who had experienced the Escalation workshop. And then in the last two months, that number has gone up to 125,000. You start to see that all this volunteer horsepower is really powerful. Denver: I think you call that a tipping point. Katie: I think so. Let’s hope. Denver: In addition to the Escalation workshop, you have some very powerful and edgy public service announcements– and some lighter ones as well, I would add– and other ways online that you really reach this target audience, which I guess would be young millennials and Gen Z-ers now. Talk about some of the messaging and some of the things you do to connect with them in a meaningful and effective way. Katie: Part of actually changing this public health crisis is going to be getting people talking about this issue. When I got involved, it was because my best friend’s cousin had been killed. And I started learning more and more, and what I realize was this is an epidemic that nobody is talking about, but we should be. And so when we launched our national rollout with Escalation, we had this ongoing realization that we have to surround young people with this message. It’s almost a counter-cultural message. We have to flood them with this idea of what’s right and wrong. We have to give them tools that can help them in their lives. And so we realized, young people are spending a lot of their time online. And not every young kid is going to have the opportunity to do a 90-minute workshop, but how do we deliver the same message and the same lessons in shorter form content? We are so fortunate to partner with an amazing creative pro bono partner, MALFOR GOOD, out in Los Angeles. And they came up with a vision for: “You need to change the language around this. You need to give people a shorthand for talking about this issue.” That shorthand is: “That’s not love.” And then they have created a series of short-form content that really reinforces the message– but in a minute, or 30 seconds, or three minutes. And what we’re finding is: that then starts the conversation online. A lot of our content will have more shares than likes, meaning that people want their friends to see it. People will tag their friends and say, “This is what happened to me.” It’s opening up a dialogue that we think is critical to changing social consciousness. Denver: And you also have, as you said a moment ago, some lighter ways of looking at this in your Couplets, which is not quite as heavy. But, Boy! It sure gets the message across. Katie: The Couplets are actually Sharon Love’s favorite campaign. Sharon is really funny, and she always had in her heart that we have to change the tone around this discussion, we have to make it easier to talk about. And it sounds crazy for someone who lost her daughter to say this, but she thinks that you have to find ways to talk about it with humor, too. And the Couplets are little cartoon blobs that each illustrate a healthy behavior – that’s love – or an unhealthy behavior – that’s not love. We’re building a middle school curriculum around them now because they’re not as heavy as Escalation and some of our other content. But to your point, they make the point about the behaviors that are okay and that are not okay. Denver: You’re trying to get them in the door, and Couplets gets you in the door, and the conversation can continue from there. Safety planning is really important when you leave a relationship. The most dangerous time is when you leave because you’re breaking a cycle of control. Denver: Well, you know, I think the danger level of a relationship can sometimes be really hard to assess. I think it’s kind of subjective with a lot of people. But what One Love Foundation has done is you created an app to help women and their friends to better determine whether a relationship is unsafe and what to do about it. Tell us about that app. Denver: It sounds so easy, doesn’t it? Not that easy. Katie: It’s just not. And in fact, your danger has gone—if it’s a very abusive relationship– your danger has gone through the roof. So Jackie Campbell is one of the national leaders on this research, and she created a tool to assess the lethality risk of a relationship. And then Nancy Glass created the safety planning tool, and the My Plan app brings them both together. So the real goal was: Sharon Love, at the beginning, she wanted to make sure others had access to information that could save their lives. It’s really that simple. And the My Plan app is one of those tools. But I think what we’re encouraged by is: there is something about young people, where their sense of normal is still developing; their brains are still developing. If they realize early that they’re on a path they don’t want to be on, that might be a better point for intervention. And that’s our great hope. Denver: Let me ask you a question about the abuser. Because I’m looking at the numbers, one in three women, one in four men. But really, about 94%- 95% of people will never perpetuate this kind of an abuse in a relationship. So there does seem to be a group of people that move from one relationship to another in doing it. Is there any help for them? Or is there any guidance in terms of trying to deal with them so they can get the kind of help that they need to stop this behavior, and not move out of one relationship and then into another and continue? Katie: This is a heated topic in a lot of ways. There are better intervention programs. There’s counseling; there are things that you can do. One of the challenging things is: once somebody has become abusive, breaking that cycle is very hard. It’s not impossible, and we should do everything we can to do that. The interesting opportunity we’re seeing is back to: before abuse, if you think of abuse as a disease, so to speak, the pre-disease state is unhealthy relationships. One hundred percent of us will do unhealthy things in our relationships in our lifetime, 100% – me, you, whoever. So the opportunity is to shine a light for us– before we get to the disease– on what is healthy and unhealthy, and then teach people to navigate that before it becomes abuse. And one of the things we love the most, especially with our social media campaigns, but also with Escalation, is that it’s not uncommon for someone to raise their hand. And most of the time, it’s been boys, but it can be girls, too, and say, “Oh, my gosh. I’ve done some of these things. I don’t want to be abusive. I didn’t realize this was abuse. What can I do?” And so our team’s job really becomes connecting them with either local resources at their campus where they can start talking about this and getting counseling, or connecting them… if they’re a little further along… to some of the national resources in the domestic violence space. Denver: And you’re also very concerned about the bystanders, aren’t you? Because a lot of people who see this can’t really make out exactly what is going on, feel it’s none of their business, feel that they’re going to lose both friends in the process. How do you encourage them to become involved and take action when they see some of these warning signs? Katie: One of the major messages to young people in our workshop is “Trust your gut.” Your gut is given to you for a reason. If your gut is saying something is wrong here, then it’s incumbent upon you to figure out how to have a conversation. That being said, we also know that it’s hard, and we also know that for teens and people just early in their dating relationships– without a sense of what’s okay or not okay– it can feel really risky to speak up. And so one of the things we talk about is that we hope our information and the more kids we can educate and give a common framework to, the easier we make it for them to have confidence in their gut. And if more people on the campus or in the community have the same information, then it costs less social capital to speak up. Denver: Well, one way to get people to talk about it is to create awareness, and one of the creative ways that you’ve gone about doing that is some kind of physical activity that plays on Yeardley’s name. Tell us about that initiative. And within a day, it was eight teams. Within a week, it was 40 teams. And it ended up with nearly 200 men’s and women’s collegiate lacrosse teams across the country running a million yards for Yeardley each that winter. And for us, what does that show? Well, it’s a way of bringing the issue out in the open and proudly standing for the issue with your peers. Really important! And what we’re really excited about is: while the lacrosse community, which has been so incredibly supportive to Sharon Love and to One Love; that’s where it started, and it’s still like an anchor for us… It’s actually now expanding to colleges and athletics departments more broadly. And our great hope is that examples like this, whether it’s Yards for Yeardley or whether it’s any other initiative that gets the community out, is it de-stigmatizes this issue; it gets people talking, and it sort of plants the seed that we are all responsible for doing what we can do to make a difference. Denver: And that’s great. And if I can add a footnote to that, a million yards is 568 miles. Denver: So let me ask you a bit about the corporate culture of One Love Foundation and some of the things that you do, Katie, to make it distinctive and special, and to really get your people energized and engaged in this work. Katie: Well, we are, in every sense of the word, a startup. What started with me at my dining room table is now 25 people, and we have been constantly learning about what we’re doing and reading our audience and understanding how young people want to participate and experimenting and evolving. So it’s fluid, which can be challenging, but like when we see an opportunity to engage young people more deeply, we want to test it and pilot it. So there’s a very can-do vibe in the office, and I think there’s also a sense that we want everyone to realize their own power to make a difference. And we realize our own power to make a difference. So we believe 100% that this is a no-brainer. I love when people say to my team, “This doesn’t seem like rocket science. It seems sort of like common sense, like actually teach our kids about something we’re not teaching them and then make it really common to talk about.” And so I have a team of true believers. Now, that doesn’t mean growth can’t be really hard as you’re shifting and evolving to really figure out how you scale what we’re doing… because scale is important. It’s a startup, and so we have to constantly spend time at the end of every semester looking back as a team at: what have we learned, making sure we’re on the same page, and together plotting a path forward. We could be a great organization, creating awesome content that kids want to engage with, that educates them about this issue. But until we activate individuals and communities to lead and be involved and run this on their own, we’re not going to actually change social standards. We’re not going to unleash the power of that shift in social consciousness which is required, we think, to permanently change the statistics. Denver: Let me close with this. One Love is more than just another foundation or another charity. What you’re really trying to do is create a movement. Tell me what you do. What does it take to create a movement like this in this country? 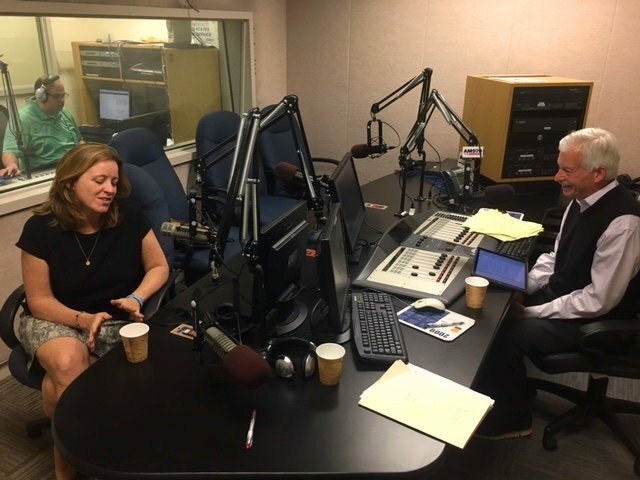 Katie: So I sometimes use the analogy that One Love is much more like a political campaign than a traditional nonprofit. And what do I mean by that? There’s a national program /mission message/ cause, but it requires boots on the ground and individuals to get out there and vote and be part. So the movement piece requires action. We could be a great organization, creating awesome content that kids want to engage with that educates them about this issue. But until we activate individuals and communities to lead and be involved and run this on their own, we’re not going to actually change social standards. We’re not going to unleash the power of that shift in social consciousness which is required, we think, to permanently change the statistics. When we talk about what is unique to One Love, it’s powerful content that is relatable, and that opens people’s eyes to the fact that this is not something that happens to someone else somewhere else; this is something in your life. And then it’s the invitation to act, and at every Escalation workshop, we say, “This is not the end, this is the beginning. And what you choose to do from here, and how you choose to be involved, will dictate whether we can get this done together.” And so that’s the movement we’re envisioning. Denver: Well, Katie Hood, the CEO of the One Love Foundation, I want to thank you so much for being here this evening. Tell us where people can get more information on the foundation, the Escalation workshops, or other ways that they can get personally involved. Katie: Yes. We want everyone involved. Everyone listening right now has a reason to be involved, and you can go to joinonelove.org to learn more. You can also follow us on Facebook and Twitter and Instagram to see not just what we’re putting out there, but every day, students are—I had set a Google alert for Yeardley Love and One Love– and every day, I’m hearing about new things happening around the country. It’s pretty inspirational. But again, there’s a place for everybody at this table, and we are eager to partner with anyone who wants to get involved. Denver: Well, you have inspired all of us this evening. Thanks, Katie. It was a pleasure to have you on the program. Katie: Thank you so much for having me here.